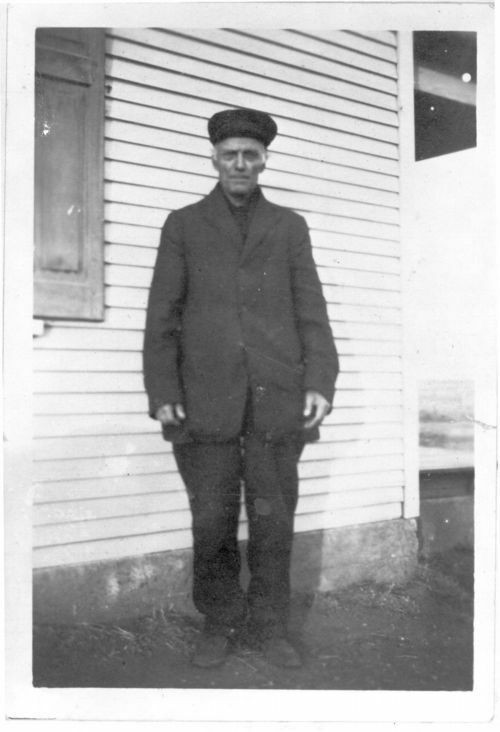 This black and white photograph shows an unidentified man from Ellis, Kansas, who is dressed in the traditional Volga German clothing. Like many Volga Germans, he was lured to Kansas by railroad advertising campaigns that promoted the sell of productive farmland and exemption from military service on religious grounds. With these incentives for settlement and religious freedom, Volga Germans immigrated toward the Ellis, Rush, and Russell counties to buy the lands owned by the railroad companies. In those close knit and sometimes isolated communities, German customs and strong religious beliefs were maintained for several decades.